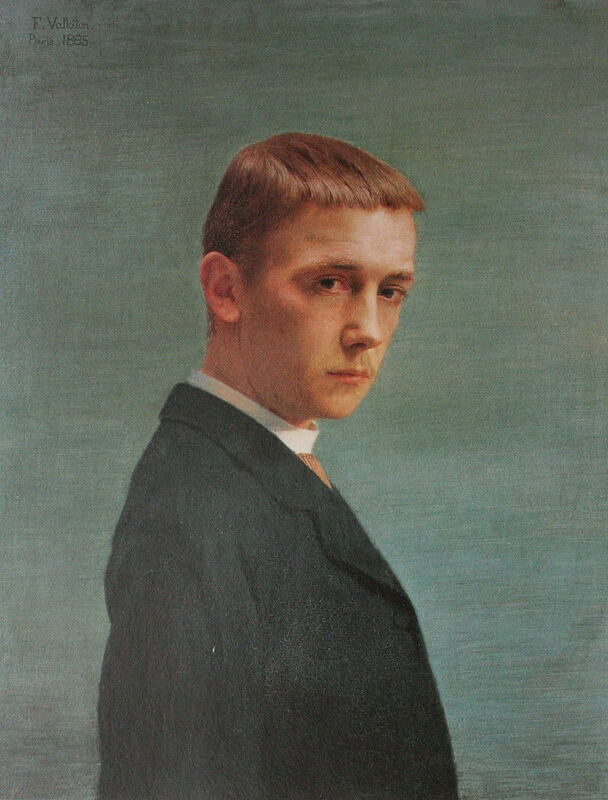 Continuing my series looking at Les Nabis, I turn next to Félix Vallotton (1865–1925), a painter and print-maker whose work I thought I knew until I started to research what was going to be just one or two articles. I then realised that to do him any justice at all would require a series of four or more – and that’s without considering his prints. I hope that you’ll agree by the end of this series that Vallotton was a key figure in the development of modern figurative painting in the twentieth century. And that his paintings are wonderful. Félix Édouard Vallotton was born in Lausanne, in Switzerland, and moved to Paris in 1882 to study under Jules Joseph Lefebvre and Gustave Boulanger at the Académie Julian. His early influences included the paintings of Ingres, and he started painting portraits which followed the academic tradition.